I’ve recently tried another lunch option that I’ve fallen in love with! With fresh tomatoes coming from the garden, it was easy to decide on trying this sandwich. The cheese portion of this sandwich actually comes from cottage cheese . . . an excellent and awesome low-fat source of protein! I mixed the cottage cheese up with some ranch seasoning (aka Fit Ranch Dip), loaded it on an English muffin and topped it with fresh tomatoes, green onions, and avocado slices. It was SO good. I’m not even lying. If you judge the quality of your sandwich by the mess it produces, well this one will make your top 10. It’s messy, folks. The cottage cheese kind of spills out the sides. I actually ended up eating this open-faced, with a fork. Oh man, it was good and it was fresh and it was a fabulous lunch option to throw into my rotation. This is also a nice vegetarian option as well. Place cottage cheese and ranch seasoning in a blender or food processor and blend until smooth. Toast English muffin in toaster until lightly toasted. 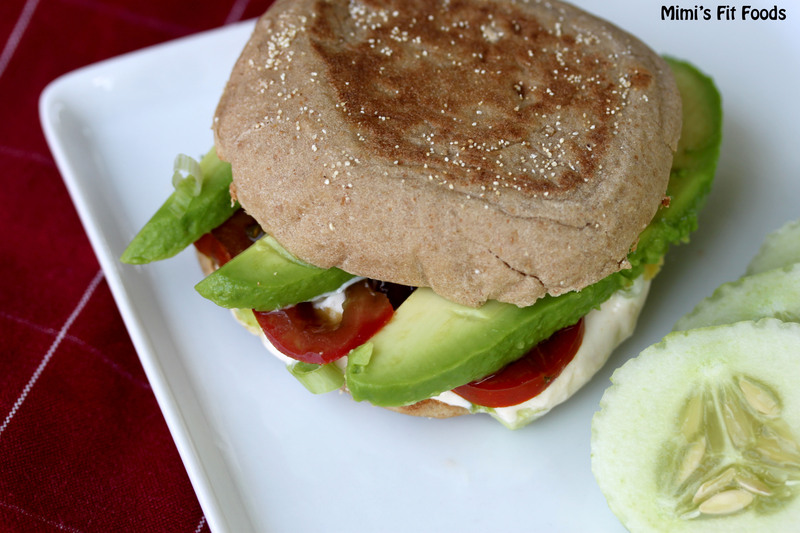 Place seasoned cottage cheese on one slice of English muffin and top with green onions, tomato, and avocado slices. Place remaining slice of English muffin on top. (You may find that you prefer to eat this open-faced like I did.) Enjoy!